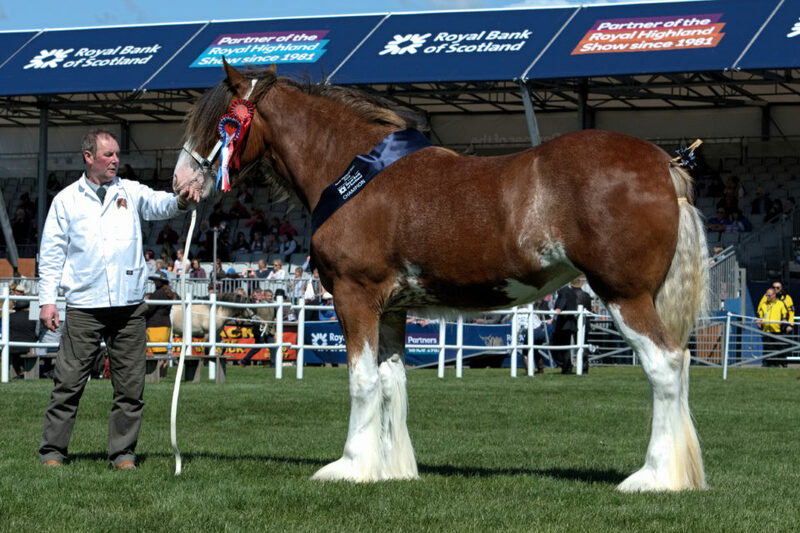 - to the left Ord Tinkerbell (owned and bred by Mr Eric Johnstone) and female Cawdor Cup Winner at the 2018 Royal Highland Show. 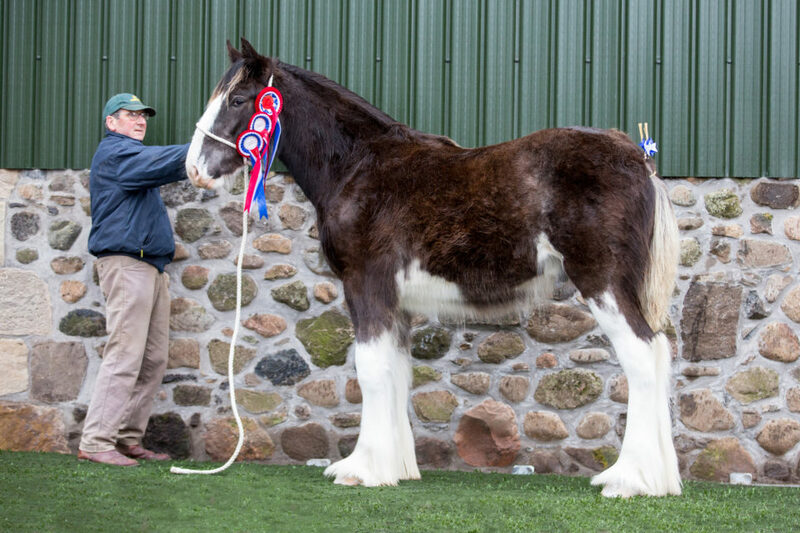 - and to the right Collessie Connoiseur (owned and bred by Mr Ronald Black) and male Cawdor Cup Winner at the 2019 National Stallion Show. 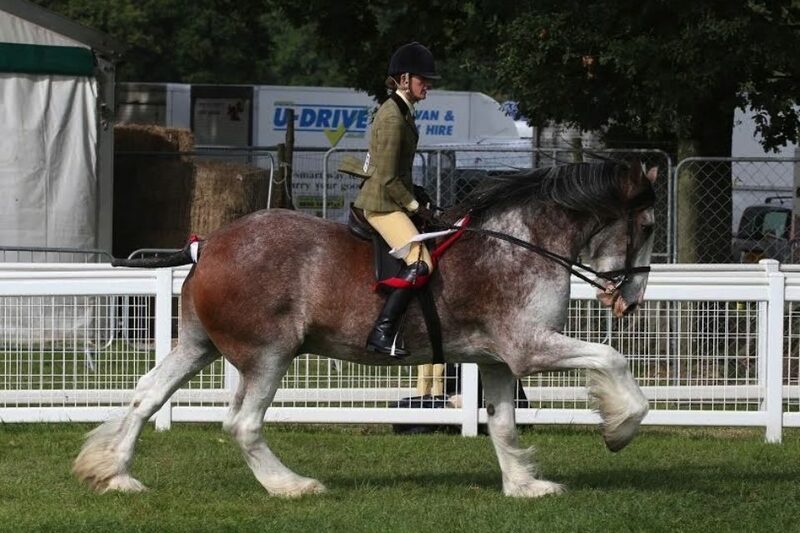 The aim of the Clydesdale Horse Society is to maintain the purity of the breed and to promote the Clydesdale Horse. 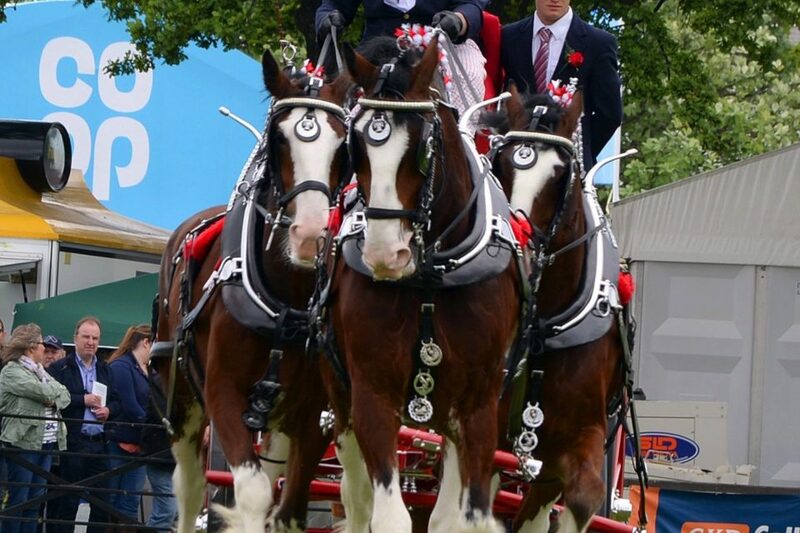 The Clydesdale Horse Society was initiated on the eve of the Glasgow Stallion Show on the last Tuesday of February 1877. The Society was formally launched in June 1877. 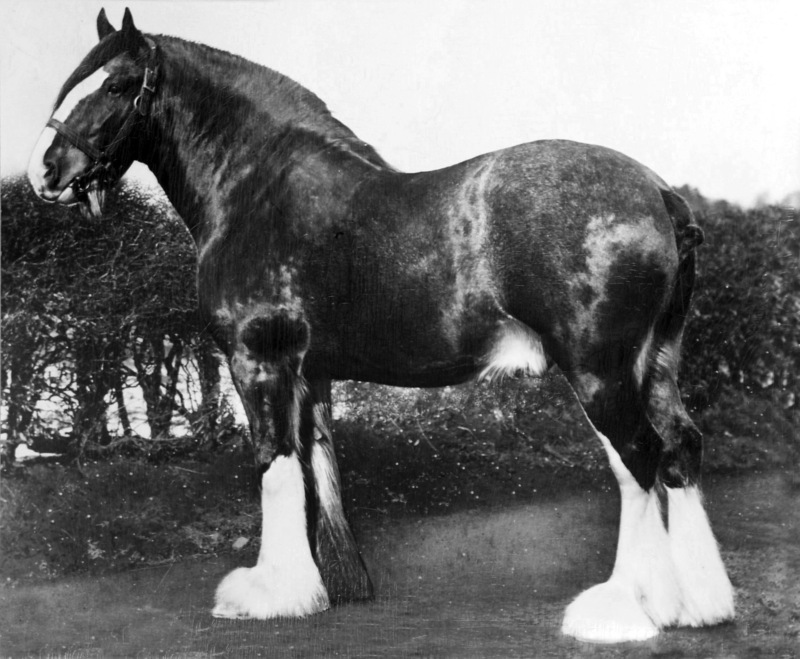 The first, or retrospective, volume of the Clydesdale Horse Stud Book was published the following December. By this time the breed was known to have been in existence for 150 years.